What useful changes has feminism brought to science? Feminists have enjoyed success in their efforts to open many fields to women as participants. But the effects of feminism have not been restricted to altering employment and professional opportunities for women. The essays in this volume explore how feminist theory has had a direct impact on research in the biological and social sciences, in medicine, and in technology, often providing the impetus for fundamentally changing the theoretical underpinnings and practices of such research. In archaeology, evidence of women's hunting activities suggested by spears found in women's graves is no longer dismissed; computer scientists have used feminist epistemologies for rethinking the human-interface problems of our growing reliance on computers. Attention to women's movements often tends to reinforce a presumption that feminism changes institutions through critique-from-without. 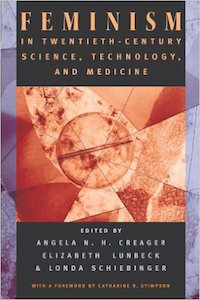 This volume reveals the potent but not always visible transformations feminism has brought to science, technology, and medicine from within.